Harrisburg, PA — Fourteen Harrisburg area coffee shops and Bethesda Mission are spreading the love this winter. They’ve launched Bethesda Mission’s #iheartHBG campaign and they’re asking central Pennsylvania to join them. 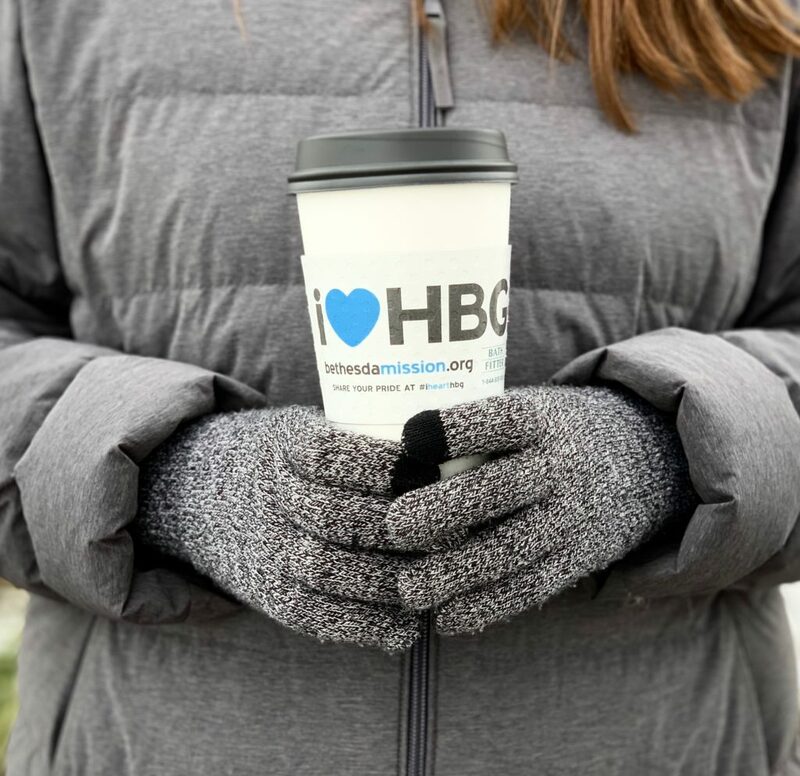 #iheartHBG cup sleeve and are encouraged to post their pictures, love, and support for Harrisburg on Facebook, Twitter, or Instagram. While the central goal of the campaign is to rally community pride and boost small business participation, patrons also may leave a business card or donation in the designated jar. Business cards will be used to contact those who may be interested in volunteering for Bethesda Mission; donations will be used to support the expansion of the Bethesda Mission Community Center. The campaign will continue through the remainder of January and into February, as long as sleeve supplies and enthusiasm lasts. More information can be found at BethesdaMission.org/event/i-heart-hbg.